Who is it aimed at and who is eligible? Why has it been introduced now? How will it be released to students? How can I view it? We welcome comments, feedback and queries on the course. A guide to studying in UK higher education for all students coming to it for the first time. Handout from Study Smart Taster session. Presentation slides from the session for staff on 23 August 2017. 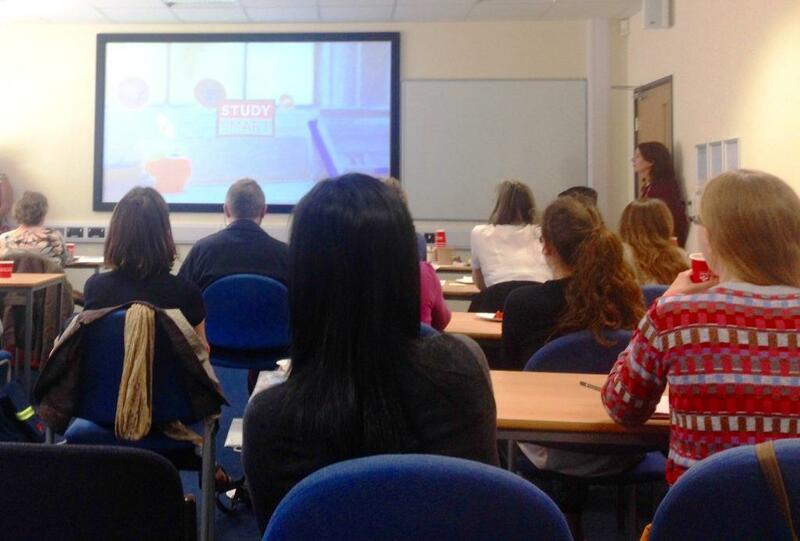 The Study Smart course launched for the first time on 29 August 2017. We look forward to the course becoming an annual event to support student transition to undergraduate study at the University of Reading. This guide is for staff only to inform you about the rationale, content, format and delivery of the course and assist with planning. There is a detailed outline of the course on the Course Content page. Content which we have been able to make accessible via PDFs (for articles) and URLs (for externally hosted videos) is also linked on this page. Please do not send students directly to this guide. However you are welcome to download documents and copy links for use in your teaching. We welcome feedback via the contact form on the left-hand side of each page. View the tutor trailer video for the course. 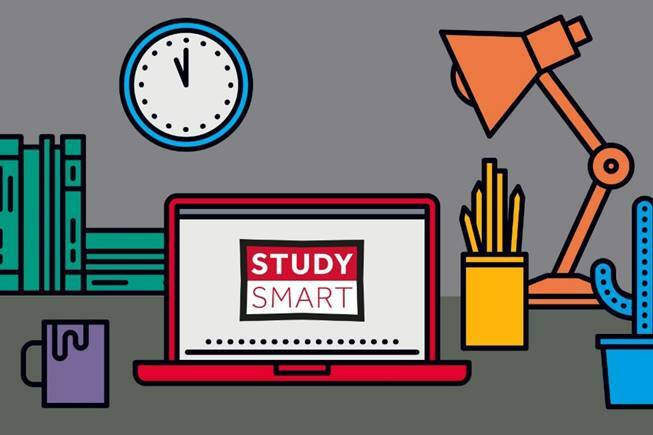 Study Smart: Your Essential Guide for University is a short online course, developed at the University of Reading and using the FutureLearn platform. The content has been developed by the Study Advice team at the University, drawing on their experience and expertise in working with students across all disciplines to help them understand tutor expectations and develop their skills for study success. There has been input from academic tutors and current students, some of whom will feature in the course itself. The Study Advice team worked in partnership with the University's Open Online Courses team, building on this team's successful track record of creating engaging and high-quality online courses that have reached over 800,000 learners across the globe. 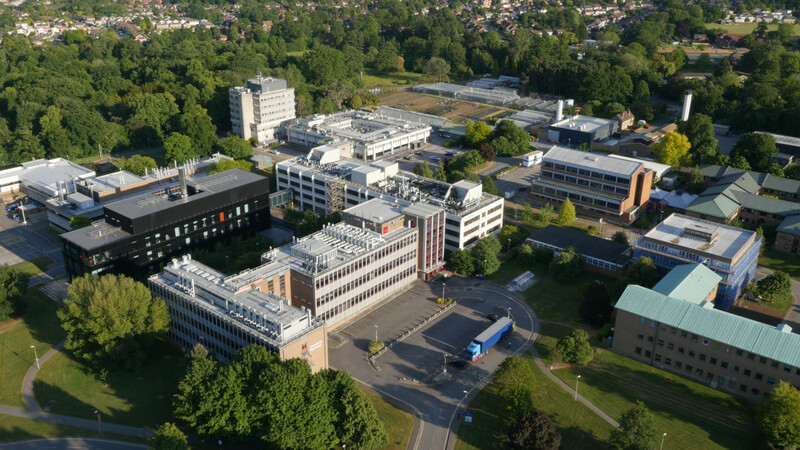 The aim of the course is to prepare new undergraduates for studying at university level, and to welcome them into the learning community at the University of Reading. The principles behind university-level study will be conveyed through a series of 'steps' including brief articles, videos, student-created animations, self-tests, and discussions with other students. There will be early opportunities to make contact with peers. Discussion boards will be moderated by staff and trained student moderators. New undergraduates will be invited to join the course via email at the end of August, and will be encouraged to complete it before starting their course at UoR. The course is in three sections. While these have been labelled as three 'weeks' in keeping with other MOOCs, all three will actually be released at the same time, so students can work through the sections at their chosen pace, completing all three on the same day if they prefer. We anticipate that each section should take no more than three hours to complete. While we expect that many students will complete the course before arriving at Reading, it will remain open throughout their first year for them to return to to remind themselves of what they learnt. So there will be plenty of opportunities to encourage your students to complete. We are planning to monitor enrolment and hope to also monitor completion. Tutors will not be asked to undertake any monitoring, but we hope that you will encourage a culture of completion among your students. More information about our free open online courses. Consequently, enrolment on the complete course has been limited to students entering at Part 1 who will have access to services on Reading campuses, and who will benefit from a close identification with campus-based study. However, we recognise that students outside of this group may also benefit from some of the resources. The table below aims to indicate when the materials might be used with a variety of cohorts. Suitable materials for use by tutors of students in groups C, E, and F will be flagged on the Course content page under the 'Articles, quizzes and video links tabs', using these letters. Suggested ways of incorporating materials are listed on Using Study Smart with your students. The Study Advice team are happy to consult on the use of Study Smart materials. The Study Smart course is not suitable for students studying at pre-Part 1 level. If students continue to Part 1 undergraduate study on a UoR campus, they will be invited to enrol on the course at that time. Receive invite to enrol on course shortly after confirmation of places in late August and before Welcome Week. Once enrolled, can continue to access course over whole of first year. Tutors may choose to use selected Study Smart materials with their students as appropriate. Receive invite to enrol on course shortly after confirmation of places in late August and before Welcome Week (with some mediation from tutors to explain that while principles still apply, some aspects of teaching and learning may be different and some location-specific information may not apply). Tutors may choose to use selected Study Smart materials with their students as appropriate with some mediation as above. Research has shown that students lack explicit guidance on the difference between school and university when it comes to academic expectations. This lack can cause a drop in academic confidence when assessments receive a lower mark than expected, and can foster resistance in reading and responding to critical feedback. Even small points like being unsure about how to address your tutor in an email can result in students being reluctant to seek advice, and consequently failing to integrate and engage with the University community. These issues can be magnified for international students, already getting to grips with an academic culture that may be quite different from their previous studies, and for those who feel that they do not fit the template of a traditional University of Reading student. This might include black and minority ethnic students; LGBT+ students; students with specific learning difficulties (SpLDs); mature students; students with alternative entry qualifications to A-level; student parents. While we envisage Study Smart as an invaluable tool to encourage the best possible start to university studies for all of our students, we also hope that it will help to unite our diverse intake and promote greater integration through a shared induction into the learning community at the University of Reading. the inclusion of a banner advertising the course at the end of university email communications. The full launch of the course will take place in an email communication which will be sent to students on 28 August. At this time, students will receive information about the course and a link to the FutureLearn platform so they can register and get started. 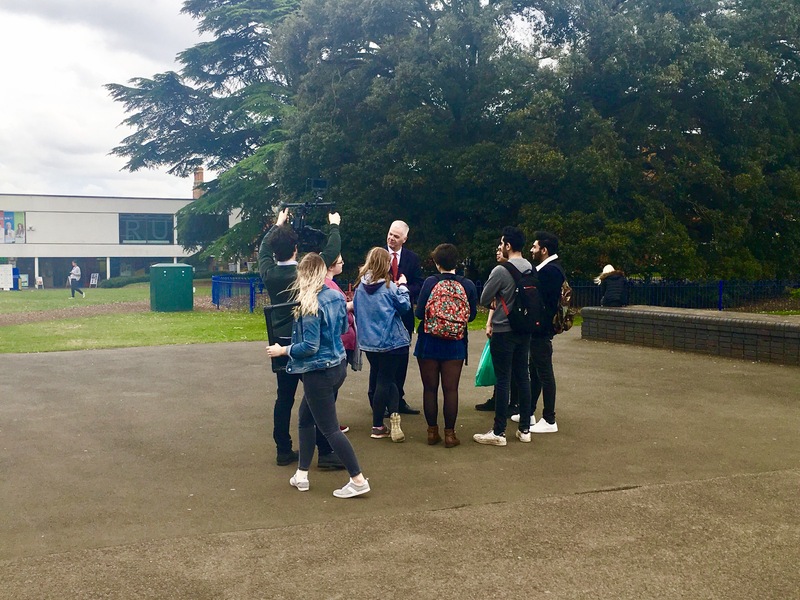 The expectation that students will engage with, and complete, the course will continue to be emphasised during central and School events in Welcome Week, and in Academic Tutor meetings. ﻿Tutors will be able to view the course as a guest, once it has been launched. Guest access will not allow editing or commenting, but will give you the opportunity to view the content in the same format that students are accessing it. If you would like to enrol as a guest, please email us from your university email address. We will keep a record of those interested and send an invite when the course is available. Guest enrolment will be available throughout the period that the course is open. In the meantime we want to keep you informed about what the course will include. As the details are finalised, we will be updating the Course Content page on this guide with a list of course content, screenshots of pages, PDFs of the text used in articles, and links to external content (including videos). The page currently includes an outline of the planned three sections. In addition, we held a series of 'Hands-On Sessions' over the summer where we were able to give tutors the opportunity to explore the course as their tutees would see it. These took place on 4 June and 12 Sept. In each case, a packed room of academics and other professional services staff heard about the successful launch of the course in 2017 and the improvements we have planned this year. We then logged them on to the course so they could view the activities and resources as they appeared on the FutureLearn platform. Please do contact the Study Advice team if you have any queries about the content of the course. Contact details are located on the left-hand side of this page.